Top rope. Boulder. Speed. Climb your way. First time climber or a pro on the wall? Whatever your skills you'll find something for you. Just climb or go all in with our memberships. University of Warwick student or staff? Log in and discover your available membership options. 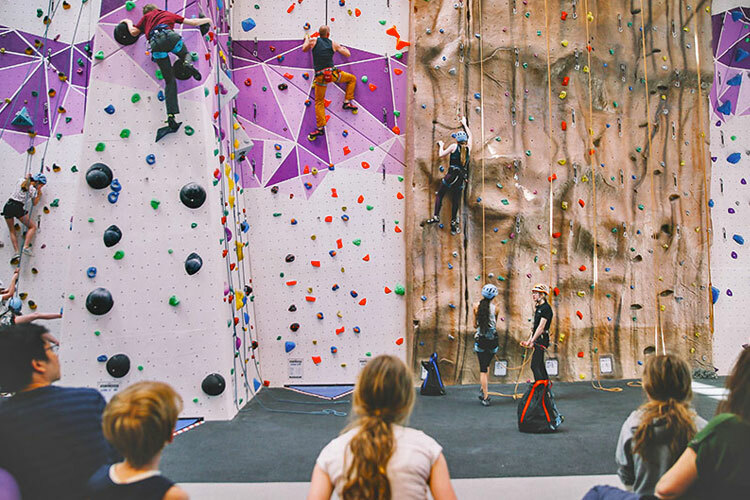 No matter whether your beginner or pro, all climbers need to register and complete a climbing waiver before being able to climb in the Sports & Wellness Hub Climbing Centre. Register for the Climbing Centre. There is a £6 registration fee. For those with existing Warwick Sport climbing competencies, there will be no registration fee. Read and understand the Conditions of Use and Rules. Sign and hand in a climbing waiver. Under 18s must have parental consent waiver completed before using the Climbing Centre. Complete a floor walk induction. To avoid disappointment, we would advise pre-booking your floor induction. Watch our bouldering induction video. Once you’ve completed the registration process, you are ready to climb. Climbing members can climb peak and off peak hours. New Sports & Wellness Hub All Inclusive members can climb during off peak hours. Once you’ve completed the registration process, you will pay the peak or off peak climbing price each time you climb. There is a £6 registration fee for all climbers. For those with existing Warwick Sport climbing competencies, there will be no registration fee. New routes set every week. Technical slabs, bridging routes and powerful overhands, pockets and cracks. With different routes to reach the top, we want everyone to be able to experience the climb. Take our induction and pass to receive your Green Card. You'll now be able to use the climbing centre independently. Taster sessions are perfect if you've never climbed an on indoor wall. Suitable for both adults and children. All ages can reach new heights with climbing for young to teenage climbers. Can cater for different size parties and lengths of time. Schools can book one off taster sessions or groups of lessons. These educational sessions are available to book as part of the NICAS scheme. Let your young climbers experience Bear Rock climbing wall every weekend.